This user guide is primarily designed to assist facilitators in developing learning sessions that support the implementation of the principles, tools, and strategies presented in the Leading by Convening suite of modules. The guide provides suggestions for how to use the modules, how to prepare for learning sessions, and includes a module outline for each of the five modules. The module outline can be used to structure the learning session. Each outline contains an overview of the module and each individual lesson, includes additional learning activities, and provides opportunities for reflection. 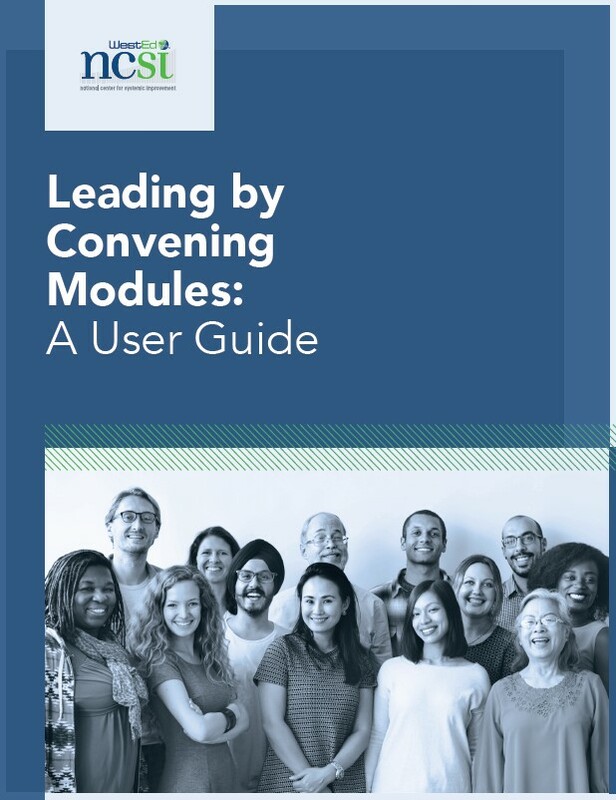 This module provides an overview of the IDEA Partnership blueprint on Leading by Convening. It outlines the essential habits that leaders need to cultivate to build allied relationship across groups. The tools and learning activities help groups identify their values and shared interests, and work together to improve practice. This module helps us understand and develop a habit of practice in which diverse groups of people come together around shared issues or problems of practice that they want to resolve. This habit is called Coalescing Around Issues. Individuals with differing backgrounds and experiences share, learn, and act together to achieve their common goal. This module helps us understand and develop a habit of practice that ensures the right mix of stakeholders is identified and participates in solving a shared issue or problem. This habit is called Ensuring Relevant Participation. Ensuring relevant participation encourages leaders to develop activities that are important and relevant to stakeholders. This module helps us understand and develop a habit of practice that focuses on the work being accomplished and the interactions between and among stakeholders. This habit is called Doing the Work Together. This module includes tools and messages from earlier modules to help the user understand how the three habits of interaction are applied together. This module helps us understand the changes that we are making to ourselves and to our practice when leading by convening. It outlines skills that can be developed by consciously thinking and acting in ways that cultivate the technical and adaptive aspects of leading change. The resources help groups learn to listen, value other perspectives, and practice shared leadership.